The decision on Montenegro’s membership in NATO will be made by Montenegro and by the members of the alliance, says NATO chief Jens Stoltenberg. Nobody else has no right to interfere in the decision, he told reporters in Belgrade after meeting with Serbian PM Aleksandar Vucic. “Montenegro is a sovereign and independent country and as such has the right to decide on its own path, including the security alliances it wants to be a part of,” said Stoltenberg. 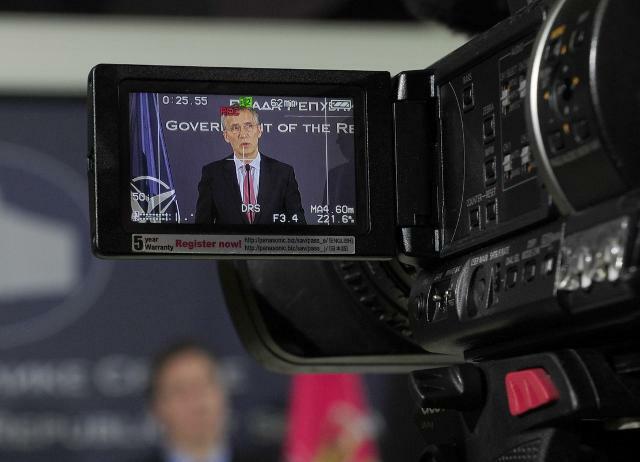 “Any interference of Russia could lead to the strengthening of the readiness to invite Montenegro to become a member of NATO,” said Stoltenberg. “No country has been forced to become a member of NATO,” said Stoltenberg. “Serbia has very good relations with NATO and wants to improve them, and we will work on it,” Vucic said. KFOR will remain in Kosovo, it is a conditional operation and work is underway to ensure that a time comes when its presence is no longer needed, NATO Secretary General Jens Stoltenberg said on Friday. Stoltenberg said that NATO’s presence in Kosovo and Metohija is the organization’s longest mission and added that this also demonstrates a commitment to working towards providing safety and security to the whole region. KFOR also has a role in that it is crucial to facilitating the dialogue that is underway in Brussels, he said. “We support that dialogue,” Stoltenberg said.